Mike has a Ph.D. in Chemical Physics from the University of Colorado. By day he works in high-performance computing and geospatial data analytics solving interesting scientific problems and keeping the homeland safe. In the evenings you'll find him programming and teaching our S&C classes. 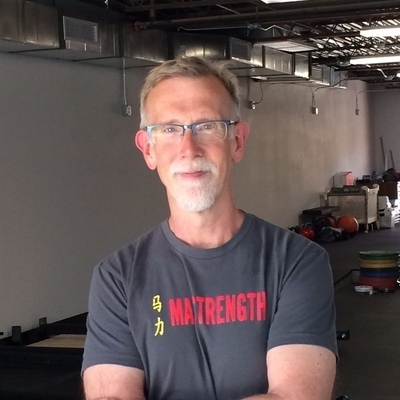 He has over two decades of strength training under his belt and has spent more than 10 years in the local weightlifting and kettlebell communities. His goal is to take his experiences and combine them with the decades of research and knowledge in the Strength and Conditioning community to develop smart programming that makes people strong, fit, and healthy. Mike is a passionate advocate of using strength and smart nutrition to build health and fitness for life. He also spent a few years doing CrossFit and knows how to bring you over from the dark side if you’re looking for something more sustainable. 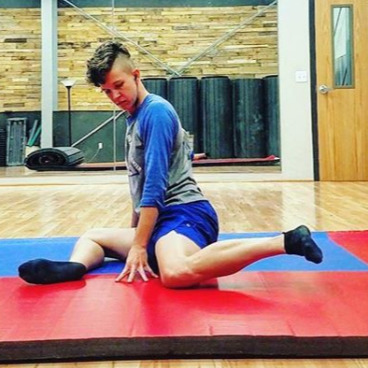 Blake is a Certified Personal Trainer through the National Academy of Sports Medicine and is certified to train Natural Movement through MovNat. He has an athletic background in team sports including hockey and lacrosse; in recent years he has turned to strength training, bouldering and parkour to stay fit. Schedule an appointment with Blake.